If you have a daily coffee habit, here’s something to buzz about: A new study finds those cups of joe may help boost longevity. As we’ve reported, previous research has pointed to a decreased risk of stroke. And, there’s some evidence that a coffee habit cuts the risk of Type 2 diabetes, too. One study found that 200 milligrams of caffeine (the equivalent of about two cups of coffee) is an optimal amount to enhance cognitive function and mood among sleep-deprived people. But we don’t all metabolize caffeine the same way. As we’ve reported, the caffeine amounts in coffee vary wildly. One analysis, conducted by Bruce Goldberger, found a 16-ounce cup of caffeinated coffee from Starbucks could contain anywhere from 250 milligrams to more than 500 milligrams of caffeine. He says this study does not prove cause and effect between drinking coffee and living longer. Rather, it points to an association. “There are a lot of unknowns as to what [may explain] the increase in life expectancy,” Maynard says. Got more questions? So did we. Here’s our conversation about the findings with study co-author Walter Willett, edited for length and clarity. We’re not sure exactly how coffee is [linked] to all these benefits. The coffee bean itself is loaded with many different nutrients and phytochemicals. And my guess is that they’re working together to have some of these benefits. We [see] similar benefits from caffeinated and decaffeinated coffee. That’s important, because it suggests that caffeine is not responsible for [the benefit]. Yes, because too much [caffeinated] coffee can cause insomnia and loss of sleep, and that’s not a good thing! Definitely. It’s extremely important to disentangle the effects of coffee from the effects of cigarette smoking. So, what’s the take-home here? 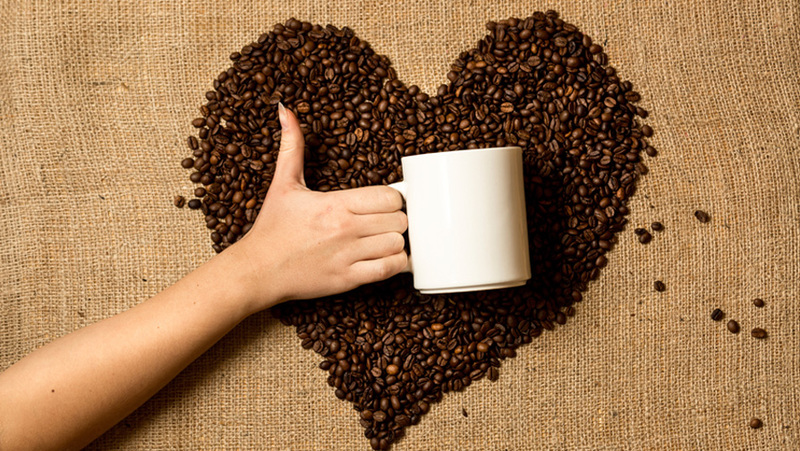 Is it that coffee can be part of a healthy lifestyle? I think if people like coffee, it’s fine to include it [as part of your daily habit]. So, certainly, [people] should not feel guilty about moderate coffee consumption. It definitely can be part of a healthy lifestyle. I wouldn’t suggest that someone who doesn’t like coffee go out and drink it. Well, I really like a good cup of coffee. But if I have more than two cups a day, I really don’t sleep as well. So, I’ve been switching more toward decaf or half decaf/half regular. We went beyond total mortality and looked at specific causes of death. And we found that people who drink moderate amounts of coffee have lower risk of [death] from cardiovascular disease, diabetes, neurologic disease [such as Parkinson’s] and suicide. Your findings come from data from two Nurses’ Health Studies, which included about 167,000 women. And it also looked at the 40,000 men in the Health Professionals Follow-up Study. Yes, I’m quite sure these findings would apply to other populations. This is a biological relationship. And we basically have a common biology. —Allison Aubrey is a correspondent for NPR News.